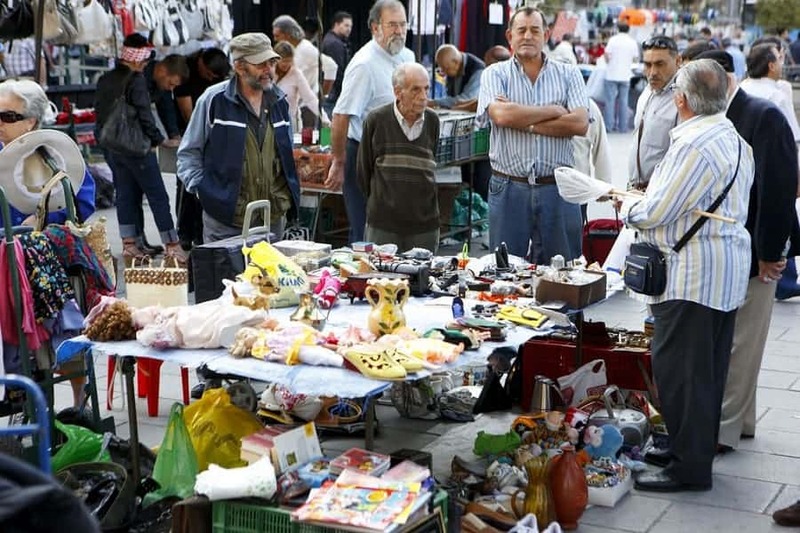 Top 15 Flea Markets You MUST Visit in Europe in 2019 4.0480769230769 out of 5 based on 104 ratings. 104 user reviews. El Rastro de Madrid or simply “el Rastro” is the most popular open-air flea market in Madrid (Spain). It is held every Sunday and public holiday during the year and is located along Plaza de Cascorro and Ribera de Curtidores, between Calle Embajadores and the Ronda de Toledo (just south of La Latina metro station). The neighbourhood around el Rastro is the barrio de Embajadores (‘Ambassador’s neighborhood) in the Central District of Madrid. 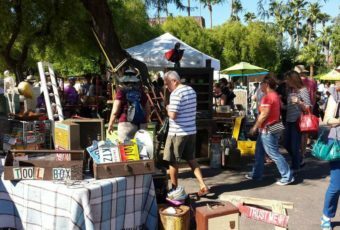 A great variety of products (new and used) can be found at el Rastro flea market, which means it may take a bit of time until you find an antique or vintage treasure – but when you do, the time spent browsing junk suddenly becomes worthwhile. A number of antique shops in the area are also open on Sunday and are worth checking out. El Rastro de Madrid ias located around the Ribera de Curtidores and encompasses a large, almost triangular block marked by Calle de Toledo, Calle Embajadores and Ronda de Toledo. The market spreads into various streets in the area, such as San Cayetano, Fray Ceferino González, Carlos Arniches, Mira el Río or Plaza de General Vara del Rey and Plaza de Campillo del Mundo Nuevo. From Cascorro flea market (at Plaza de Cascorro) it is possible to take home anything imaginable: From first and second hand clothes, jewellery, old flamenco records, faux designer purses, grungy T-shirts, household goods and electronics or any typical souvenir of Madrid, to older photos of Madrid, old coins, and antiques on display in some of the small squares and galleries. Thanks for your input! If you know some addresses in Malaysia worth visiting, please feel free to share; I’ll put them together in a special post. You can alternatively send us your recommendations by email, to [email protected]. my name is jane from kenya and would like to know how i can import goods from germany flea markets, like used utensils,wall charts antiques etc. kindly let me know.thanks. asante sana. will do that. I have been struggling to find information about the antiques fair at Lake maggiore. I can’t find any information about Borgo D’Ale there. Does anyone have any information? Hi All, Italy has many wonderful Flea Markets. The one in the Square of Aviano (45 mins north of Venice at the base of the Dolomites) is the first Sunday of the month and features about 200 vendors. There is a wonderful vendor that normally sells at the front of the church steps who has a shop in Asolo (about an hour and a half west) that could best be described as “American Pickers” heaven. I have found everything from Green antique Coca Cola bottles (Italian) there, to book shelves, farm equip, glass wine containers, a neat late 1800’s rusted out lantern, an Italian View Finder, a magnificent desk (for 50 euro…). Asolo Ogetti D’Arte SRL. As an aside…he didn’t ask me to do this…but if I don’t share this gem, I would be remiss. Thanks for sharing your insider tips! 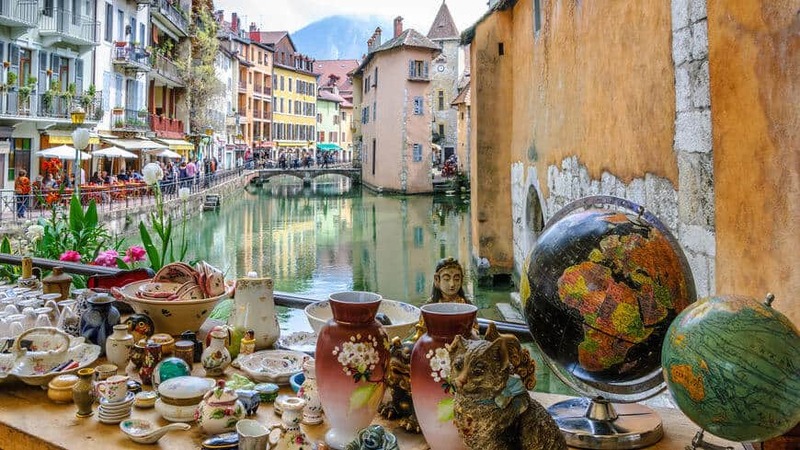 I’m pretty sure it will come handy to flea market lovers who plan a “thrifting trip” to Italy/Venezzia :) I think Pordenone also has a big market on Wed and Sat, Spilimbergo on Saturdays and Maniago on Monday. +/- 750 exhibitors each time. In summer even more side-outs. Do you have additional information regarding this venue? Like opening days, type of items found there, prices? i am looking for markets where i can sell dutch flower bulbs. I am located in East Austria and can travel . Any ideas? Thanks in advance. The date of the flea market in munich is a week later. Saturday 26 April. I hear there is an amazing antiques market in Tongeron, And there is a flea market in Homburg, Germany. Hi JMac, there is indeed! Tongeren hosts one of the biggest weekly flea market in Belgium ( https://www.fleamarketinsiders.com/best-flea-markets-in-belgium ) and Hamburg’s Flohschanze Flea market in Schanzenviertel ( https://www.fleamarketinsiders.com/best-flea-markets-in-germany/3/ ) is an absolute must do. Hi We re looking for a nice big brocante in Northern France or Belgium for January or february….Can anyone help with that??? Also, once you’re in Brussels, you can pay a visit to the antique dealers located in the Grande Rue, Rue Blaes and Sablon Square. And don’t miss to visit Stef Antiek (https://www.fleamarketinsiders.com/the-most-amazing-antique-shop-in-brussels/). Besides Brussels, you have a few nice flea markets in other relatively “nearby” cities, like Tongeren (http://www.fleamapket.com/listing/tongeren-flea-market/), Waterloo (http://www.fleamapket.com/listing/waterloo-flea-market/). If you want to go a little bit further east to the Netherlands (once you’re in Tongeren, it’s a 20 minutes ride by car), you could try Maastricht flea market (http://www.fleamapket.com/listing/maastricht-flea-market/); it’s small, but still worth it. Amsterdam is very nice too, particularly the IJ-Hallen, which is one of the biggest monthly flea markets in Europe: https://www.fleamarketinsiders.com/flea-market-amsterdam/ and https://www.fleamarketinsiders.com/amsterdam-tour/ for a whole tour of the city! Hello, thanks for a great website and recommendations – of all the flea markets in Europe, are there any that are particularly good for furniture pieces? French, Bavarian, Scandinavian, Belgian, etc? Desks, antique wooden tables, cupboards, chest of drawers, apothecary cupboards, chairs? In London there is the Sunbury Antique fair which is to recommend, specifically for finding large pieces of furniture. Hi Anna, thanks for stopping by! If you’re looking specifically for good furniture pieces in Europe, you might indeed find interesting items on major markets like France, Germany, Austria, Scandinavia, and Belgium/Netherlands. But it all depends on what you are looking for. Without strictly categorizing each country, we could generally say that Germany/Bavaria/Austria are famous for the relatively high quantity of hand painted wooden furniture that were produced in the 18th/19th/20th century, and pretty easy to find (Biedermeier furniture are also pretty widespread in Austria/Bavaria). Denmark leads the Scandinavia group with its eponymous relatively modern furniture (1950s-1970s), while a few Finnish designers like Alvar Aalto and Eero Saarinen strongly influenced the industry with their modern creation& production process. Belgium, the Netherlands and France are well known for the massive quantity of industrial design furniture that were produced there. Once again we do not mean to strictly categorize each country. However, these are trends that have been more less identified as such. Also, don’t overlook antiques fairs; because they attract professional dealers and a lot of visitors, you will be able to find quality pieces of furniture there. Sure, they might come at a price, but you’ll also be able to haggle, particularly on “unsold” items on the very last day of the fair. 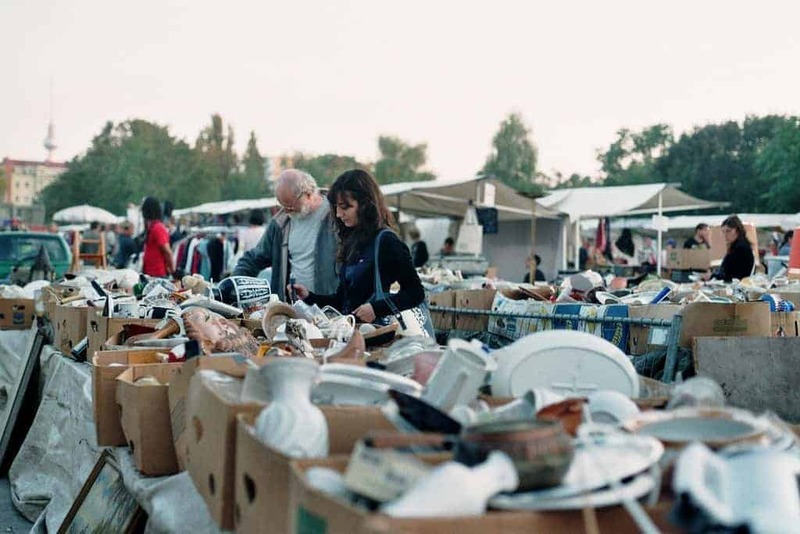 One fair I would strongly recommend is the “Munich Giant Flea Market (located on the Riesen-Flohmarkt Theresienwiese) that will take place on Saturday April 18th, 2015: https://www.fleamarketinsiders.com/munichs-giant-flea-market-2012/. It’s literally “massive” with more than 2,000 booth and 80,000 visitors. Hi, great post! I am looking to buy mainly vintage and secondhand clothing. From your post, it looks as though this flea market primarily sells furniture and antiques. Would you recommend going here for clothing? Thanks! Hi LN, thanks for the good words! 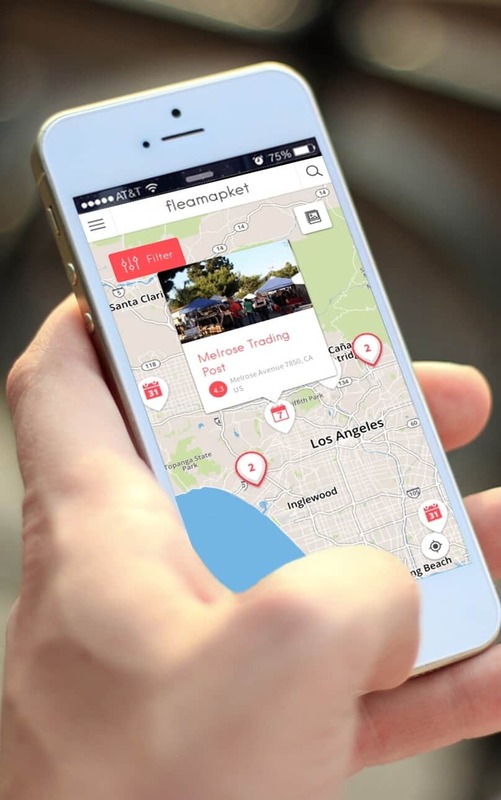 Which flea market among the 15 featured locations, do you actually have in mind? 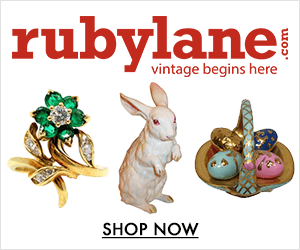 I have been to the Brussels and Tongeren flea/antique markets more than. I would say that the Tongeren market is the better by far for variety, size and willingness to deal. We have been to the Paris, Brussels and Tongeren flea/antique markets more than once. I would say that the Tongeren market is the better by far for variety, size and willingness to deal. And we will definitely feature it on our upcoming Top European Flea Markets for 2016 review. Thanks again for sharing your thoughts with us! Hi there is it the 16th or 23rd April this year? Can anyone tell me if there are any markets known for indian products specifically in Europe…. Hi, please inform which flea markets and antique fairs are good to find cheap and various of porcelains.. Thanks in advance. Brgds..
Hi Sandra, thanks so much for your input! This will certainly be useful for visitors planning to go to Waterloo! Hi – So happy to have found your site – great information!! I’m from California. Do you have any advice if I find something large- what’s the best way to ship something back to the US? Thanks so much – the article you referenced is exactly what I was looking for! Could you please confirm the day and date in April for Vrijmarkt in Amsterdam. 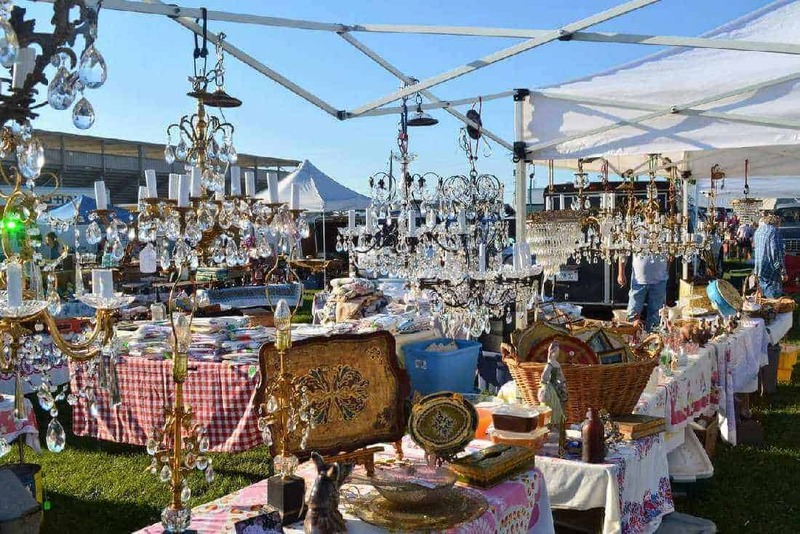 In the section ‘Best flea markets in 2018’ the Vrijmarkt is on Wednesday, 27 April 2018. I believe it is a genuine mistake. Wednesday is 25 April and Friday is 27 April 2018. Thanks for your email! The Vrijmarkt 2018 will take place on Friday 27 April. The Vrijmarkt takes place every year on the 27th of April, for King’s Day (Koningsdag). Thanks for highlighting the typo! Where is the best place to buy vintage clothes? Where can i find old dolls, as Barbie?